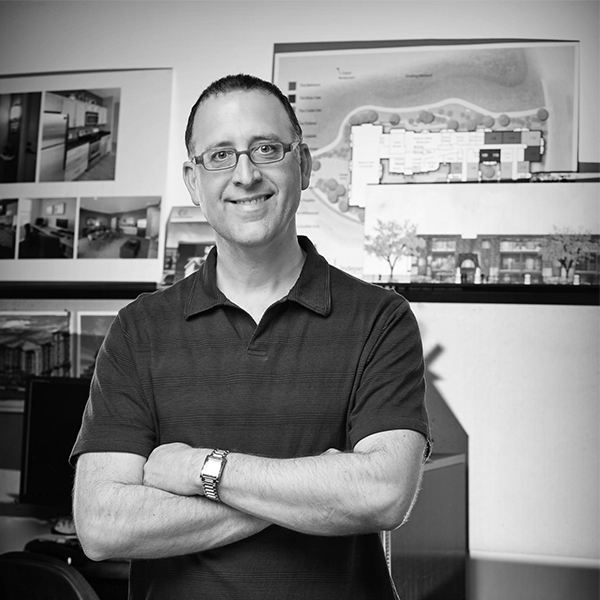 Link is co-founder of Kaas Wilson Architects and an architect with over 30 years of experience. He is responsible for setting the vision, look, and strategy of each new project as they come into our office. Link has worked on projects in more than 20 states. Though he has experience in a variety of project types, from renovations to commercial establishments to multi-tenant housing, his specialty is senior living. He is frequently sought out by both non-profit and for‑profit developers for his architectural expertise in this field, as well as invited to present on senior housing at regional conferences. Link brings a creative skill set that he infuses into every project. From his site design concepts his mentorship style; in Link’s mind it’s all gratifying. His mind brims with ideas and designs for every development site that comes across his desk. He has a knack for finding the balance between what can readily fit on a site and what ideally can fit, while maximizing total site usage. On the rare occasion he’s not working, Link is scheming ways to diversify our company, writing a book on senior housing, and spending time with his understanding wife.